As a flawed and imperfect human being, I find this enormously comforting but it isn’t what Christianity always teaches. It’s also a lesson that if misused, could be employed in the service of laziness or hypocrisy. As servants of God we could be tempted to believe that it is acceptable to be obedient to God in certain areas while disobedient in others. This would certainly be in error, but there’s the opposite to consider. How often does a “religious” person bemoan their state in never being “good enough” either for God’s acceptance or more likely for the acceptance of their faith community? All churches and synagogues (and other religious traditions) have standards, both formal and informal, and violation of said-standards can elicit responses, from the casual “tongue-clicking” of gossips and judgmental people to more formal criticisms and reprimands (and sometimes there is no more legalistic and judgmental institution than the Christian Church). Although other streams of Orthodox Judaism may not be so open, the Chabad tends to run on the belief that encouraging a Jew to observe even one mitzvah may ultimately lead to another and then another and so on. Thus, Chabad, at least in theory, accepts Jews from all walks of life and backgrounds within their synagogues, even if they have to (or choose to) drive to services on Shabbat. The Rebbe himself (Rabbi Menachem Mendel Schneerson), although strict and demanding in issues of halachah, nevertheless embraced a certain “flexibility” (I apologize if that’s not quite the right word) in his expectation of even Orthodox Jewish practice. The Rebbe went on to caution Dr. Weiss that when time is available and he is not in the service of his patients to not become lax or indifferent and that indeed he had a duty to pray at the appointed times, but he wanted to relieve Dr. Weiss not only of any guilt he experienced but even the idea that he had done anything wrong. The Rebbe went so far as to tell the doctor of the serious demands on his own time and circumstances that resulted in the Rebbe sometimes starting Mincha late. I realize that for a Christian, this doesn’t seem like anything we would worry about. After all, we don’t have set times of prayer and compared to Orthodox Judaism, very light requirements from our religious calendar and traditions. However, as I said above, there are times when the Church can be quite legalistic in its own expectations, they simply do not codify their requirements in as open a manner as Orthodox Judaism. And the fact remains that regardless of our religious preferences, it is a human trait to judge others. I recently read another Rabbinic commentary whose source escapes me (I thought it was Rabbi Pliskin’s but I can’t find it now). It tells of a poor man who was invited to a wedding. The family who invited him were quite well off and the man was embarrassed that he couldn’t afford a good suit to wear to the occasion. He finally asked a neighbor if he could borrow a suit and his neighbor generously lent the man a $1000 suit. The day of the wedding, the man discovered that many of the people at the wedding were wearing suits not as fine as his and he began to look down upon them. This, of course, is the improper response, since this poor man could not have dressed as well as even the most casually attired wedding guest of his own resources. And yet, as faulty as we all are in our obedience of and service to God, we can almost always find someone who is more (apparently) faulty than we are and at least within our own thoughts (though sometimes with our facial expressions and even our words) judge them. J.K McKee in his book One Law for All: From the Mosaic Texts to the Work of the Holy Spirit opposes a Gentile (Christian) from adhering to the Torah mitzvot in the manner of the Jews as a matter of covenant obligation. Although McKee has other reasons for believing in the “One Law” for Jews and Gentiles, he states that relating to the commandments as an obligation can lead to a form of legalism and judgmentalism within One Law Christian communities. I think McKee is simply describing human nature. I think the “cure” if there is one, is for each of us to focus on our own lives, consider where we are called to serve God, and to attend to our own “observance,” however we choose to define it. God is the righteous judge of the world. We, as the people we are now, are to judge no one but ourselves and even then, it would be good if we didn’t judge ourselves too harshly or in too lenient a manner. Since striking the proper balance in assessing our own service to the Almighty will take a lifetime to master (regardless of how young or old you are when you take up the task), there should be little time in your life to be concerned about how well someone else is doing. Dr. Ira Weiss wasn’t worried about any other Jew being late in reciting Mincha, only about himself. As an Orthodox Jew, he knew the standards by which his service to God was measured. The Rebbe reminded him of the higher duty the doctor had to his patients and that God was a lot more understanding of human frailty and limitations than we are as human beings. 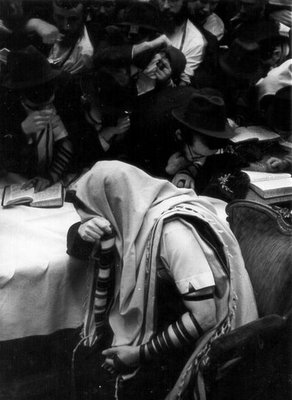 The Rebbe was a great believer that it was never too late to make teshuvah (repent) and to return to God. When we fail, we must remind ourselves that we too can repent and return, and that the struggle between our humanity and God’s perfection is one we will live with every day of our lives. It’s not perfection we seek in this lifetime, it’s persistence, endurance, striving to climb higher, and forgiveness when we fall. Don’t worry about the other guy. He’s got enough worries of his own without you adding to his list. God will help him even as he does you…and me. Lam 3:39-42 ….. Was it spoke for the realization of Messiah [The Anointed One] or for returning back to the ways of G-d [Torah]……. @Bruce, I suspect the two merge together, as time draws closer. Yeshua the Word/Logos/Davar/Torah was created as guide/servant/Anoited One/Redeemer sent on behalf unto the One which spoke Him forth i.e: G-d/YHVH/HaShem/The Name…. I appreciate being redirected back to scripture (since this is one of the few “meditations” where I quoted none) as Pastor Randy, the head Pastor at the church I attend, sometimes chastises me when I focus my commentaries too far outside the Bible. 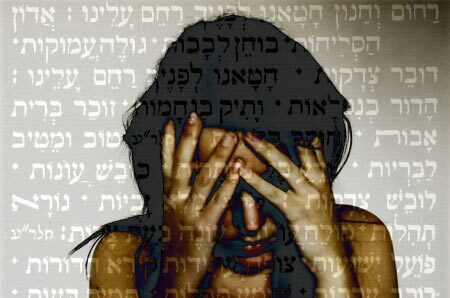 Believers from the Christian side of the prayer tapestry, when adding on Torah, need to do so one law at a time. The Commandments were given to reveal sin, and they do exactly that. The more you attempt the law, and the more scrupulously you attempt to keep them, the more aware you are of failing to do so. I was aware of the commandments, since not being Church raised, I read the Bible from the beginning of Genesis, not the beginning of Matthew. I also ended up in the world of the occult for a long season, despite my baptism. Fortunately, I remained fascinated by G-d even though I was breaking commandments right and left. My failures eventually haunted me back to Yehoshua to find the Holy Spirit still patiently waiting for me. I am glad that G-d, once you know Him, is very, very unwilling to let you go, and consequently, He let me come home. I didn’t like breaking the commandments, yet for a long time I was really good at it. I still don’t like breaking them. The only difference now is that I am aware that I can’t keep them perfectly, and don’t beat myself up as much for failing every single time. Without Grace, we Believers would be constantly punishing ourselves over every jot and tittle because we know we cannot keep the Torah. We are supposed to try to do all of the Written Torah that applies to us, because G-d wants us to, but that takes a lot of training. We have to trust in Yehoshua quite a bit more than we do in our performance. Thirteen years is about the minimum for a decent bar mitzvah, so don’t pile it on too fast. I’m still breaking the Sabbath and the Feast Days after four to five years, and I’m not trying much else outside the Big Ten. Our love for G-d and man is best seen in the keeping of the Torah, but you can’t learn it all at once. Keep the weighty matters…judgment, mercy, and faith, always in front of you even as you learn to do the rest. Our salvation, by the Grace of G-d, is in Yehoshua. I think you may be missing the point, and perhaps looking at the mitzvot via Greek/Christian lenses. Think of the mitzvot as a way to connect with the divine. It is not a matter of performing a task correctly and then evaluating how you did. One example might be that I try to make my kids’ or husband’s favorite food. But maybe I don’t make it like momma used to. The idea is that I am doing something with the heart of pleasing him, and connecting in the process. I’ve discovered about a third of the people in HR appear to have some form of OCD/Scrupulosity. This both attracts a person to more and more rules and regulations and then creates more stress and anxiety in the attempts to perform. To keep (shomer) to is guard, treat as valuable and precious, the way you might treat a piece of valuable jewelry or your new car or electronics. The only reason I am becoming Torah Observant is because G-d asked me to…directly. For me it is not a matter of rules and regs personally, because I am adding them to my life to please the One I love. I use only the Scriptures to tell me what to do, so there isn’t much to be scrupulous about in an OCD way. Keeping the Sabbath, for instace, because easy once I practiced enough to become used to sunsets as the beginningof the day, and making my meals ahead of time. The rest is about rest…just not working, and focusing on G-d. Not exactly something to worry about. The feasts are more difficult, because I just started doing them, and each one is different, not to mention that I haven’t been able to practice them very much yet, being celebrated just once a year. Kashrut might be a problem for someone adding on Rabbinal decrees, but I don’t follow Oral Law…I only eat clean meats, and when I cook beef with a cream gravy, I use milk from goats…solves that problem in an instant. I am not good at following directions at all…never have been, but when I am told to do something, or asked to do something by G-d I take it seriously, that’s all. I thank you for your concern, but my comment was to describe how best to add Torah into your life, which is a little at a time, learning how to do each command well, so that one doesn’t get overwhelmed at all the things you forget to do when you try to add on a lot of Mitzvot at one time.